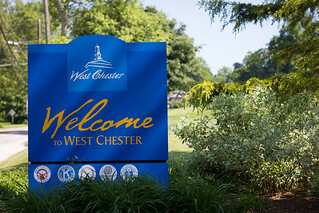 ← West Chester University Live! The Ghost Tours of West Chester is a walking tour with tales of ghosts, folklore and history. Your guide will lead you on a 90-minute walk through the spooky lanes of downtown neighborhoods where you’ll explore the land of the shadow people, learn of lost souls of the Underground Railroad, and hear about the West Chester gallows where horse thieves and murderers were hanged. New stories and tours added for the season. The Ghost Tours of West Chester occur every Friday & Saturday night in October and start at The Lincoln Room (28 West Market, 610-696-2102). Tours begin at 8:00 pm and doors open at 7:00 pm rain or shine. Courtyard Grill will be open for light sandwiches, snacks and beverages before the tours. Price is $10 per person ages 5 years and up. Reservations required; call 610-696-2102.